DividendMax»Company Coverage»Country:United States»Exchange:New York Stock Exchange»Sector:Oil & Gas Producers»Company:Occidental Petroleum Corp.
Occidental Petroleum is one of the world's largest independent oil and gas exploration and production companies and a major North American chemical manufacturer. Over 60% of the companys worldwide production is in the United States. The groups international operations are located in Colombia, Ecuador, Oman, Pakistan, Qatar, Russia, United Arab Emirates and Yemen, with exploration interests in several other countries. The chemicals business manufactures and markets basic chemicals, vinyls and performance chemicals. 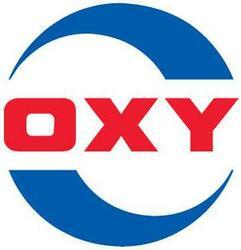 Occidental Petroleum has a good record of increasing dividends year on year, they have paid quarterly dividends continuously since 1975 and increased its dividend each year since 2002. They have good dividend cover and are projected to continue increasing their payout in the future. The dividend is paid quaterly in mid January, April, July and October making Occidental Petroleum a reliable revenue stream for investors.